RAIL UNION RMT today called on rail chiefs to come clean after speculation emerged over the weekend that 30 year old tube trains withdrawn from service on London Underground, currently undergoing refitting to diesel operation, could be dumped on railways across Wales as a cheapskate, rolling stock lash-up that raises both serious safety fears and a threat to the role of the guard. The news exposes as complete fiction public statements from Government ministers dating back to earlier this year that there were no plans to use the aging, decommissioned underground trains on the main railway. The D78 London Underground D-Stock trains, pulled from service on the District Line, are at Vivarail’s Long Marston base and are undergoing conversion to diesel operation. 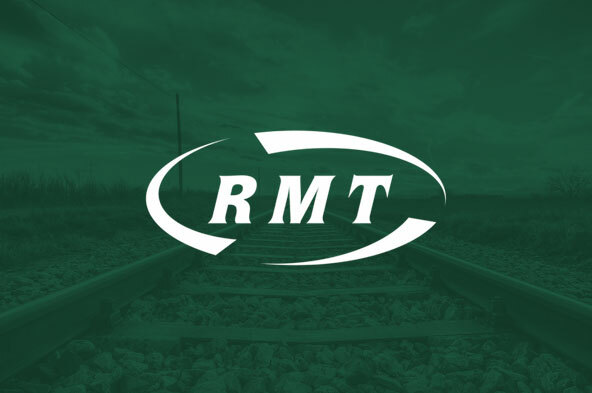 RMT has also been tipped off that the DFT is looking at plans to convert the same decommissioned underground stock to overhead electric operation. The licensing restrictions have been lifted to allow them to be used anywhere on the UK overground rail network even though they are regarded by the union as unsafe and not robust enough to be taken out of the very specific London Underground working environment. “It is scandalous that ancient rolling stock, decommissioned from the London Underground, is being lashed up with diesel engines with a view to unleashing them on railways in Wales in a move that threatens both jobs and safety in one hit. “These units are not designed to be run on the open railway and do not fit the safety criteria that would be expected on rail routes as opposed to London Underground. They are also designed solely for Driver Only Operation – threatening the role of the safety-critical guards.